Having grown up repeatedly watching her father Ken Campbell’s one-man shows (cheaper than a babysitter), Daisy Campbell is now marking the 10 year anniversary of her dad’s death with a Campbellian monologue of her own. This is both a romp through Ken’s legacy of lunacy, and a quest for Daisy to make peace with the gap he has left. Features: daemonic goading, orificular balance, Cathars, present shock, gastromantical invasion, Dark Ages and Ripped-off Ken Campbell monologues. 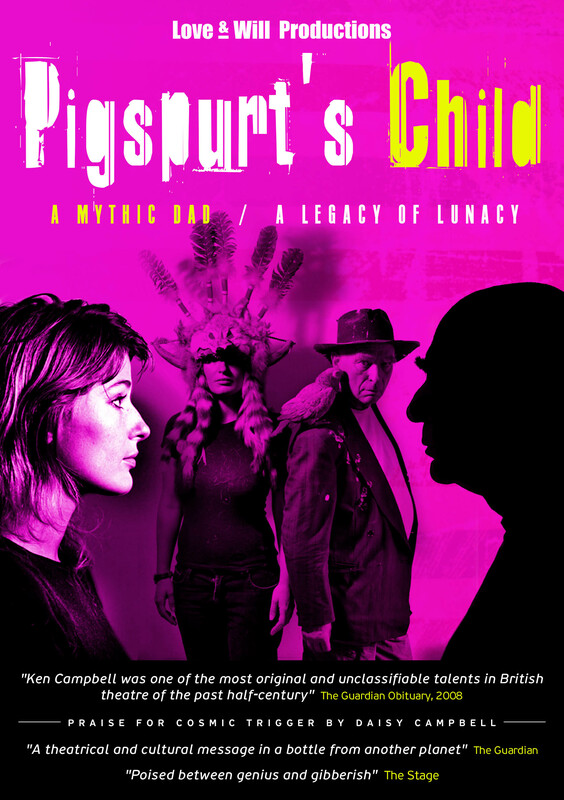 Daisy Campbell has become a noted counter-culture figure since adapting and staging “Robert Anton Wilson’s Cosmic Trigger” in 2014 and 2017, and for directing the KLF comeback, “Welcome to the Dark Ages” last August. She worked with her father for many years on productions, notably directing the world’s longest play “The Warp”, and a West-End run of Macbeth in Pidgin English, “Makbed”. This is her first full-blown one-woman show.